Vafa volunteers are the backbone of the organization. No matter where they are in the world, they continue to provide their help and support to assure that these homeless animals find safety, security, and health. 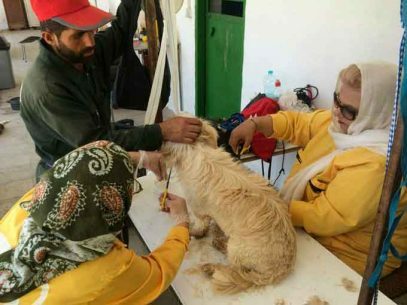 Vafa volunteers provide a wide range of support from walking and playing with the dogs to construction and assembling different equipments for the shelter which has made the shelter a safe and comfortable place for its residence. They have brought joy and happiness to the shelter with their presence. The shelter’s doors are open to all volunteers and visitors every Friday and during holidays. If you cannot attend but are interested in helping Vafa, please contact us to receive some information on how you can get involved without having to physically be there. We are always in need of skilled individuals such as graphical designers, computer and social media specialists, writers, photographers, movie directors, etc. 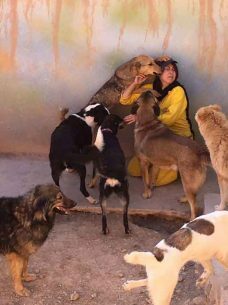 Volunteers who reside outside of Iran have provided tremendous help to Vafa by accompanying the traveling dogs, transferring them or welcoming them to their new home country. They have also helped with advertisements; computer and social media related work, as well as hosting charity events for Vafa. These types of support have made Vafa an internationally well known organization. If you have the opportunity to attend Vafa and help as a volunteer, you can go to the shelter on Friday and talk to the staff and fill out the necessary forms.